Daniel Carlson is a securities litigation attorney in San Diego who specializes in recovering investment losses for his clients. 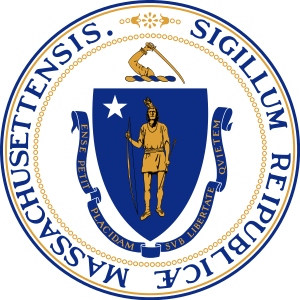 In late December of last year, securities regulators for the Commonwealth of Massachusetts filed an administrative lawsuit accusing LPL Financial, LLC of violating securities laws in regards to their sale of non-traded REITs (Real Estate Investment Trusts). After an investigation of 587 transactions valued at $28 million dollars, agents found that LPL violated prospectus requirements in 569 of those transactions. The lawsuit demanded that LPL make full restitution to all Massachusetts investors who invested in the non-traded REITs. On February 6th, 2013, the lawsuit settled when Massachusetts’ regulators ordered LPL Financial to pay up to $2 million dollars to investors and another $500,000 in fines. Massachusetts residents will be allowed to surrender their non-traded REIT’s back to LPL at the investors’ original purchase price, which was around $10 dollars a share. REITs investments vary, many invest in commercial real estate such as strip malls and hotels. They are often promoted to investors with the sales pitch that the properties will increase in value. Of course, this may or may not happen. Many REITs are publicly traded, meaning that an investor can easily sell the interest if the investor needs to for any reason. A large problem for many investors with non-traded REIT’s, which do not trade on securities exchanges, is that they can be very difficult to sell and get out of. In addition, investors can continue being forced to contribute to the non-traded REIT for things like maintenance and repairs, depending on the language of the individual investment agreement. There are many non-traded REITs who stopped distributions long ago and left investors holding an interest that has little value as malls and hotels closed. Not surprisingly, non-traded REIT’s generate higher fees and commissions for brokers. This can act as an incentive to unscrupulous agents to sell them to unsuspecting investors, especially seniors. While the above action only applies to residents of Massachusetts, LPL sold the non-traded REITs nationwide. Residents of other states, including California, would be well advised to seek legal consultation on their non-traded REITs sold by LPL and other advisors. Since many of the LPL REITs were sold beginning in 2006, it is important to pursue your claim as soon as possible. . If you think that you have been the victim of investment fraud in regards to non-traded REITs sold by LPL or other companies, contact Daniel Carlson at the Carlson Law Firm today for a free consultation at 619-544-9300.